The large green dot in the left hand panel is at one focus of the green ellipse. Dragging it changes the vertical axis of the ellipse. 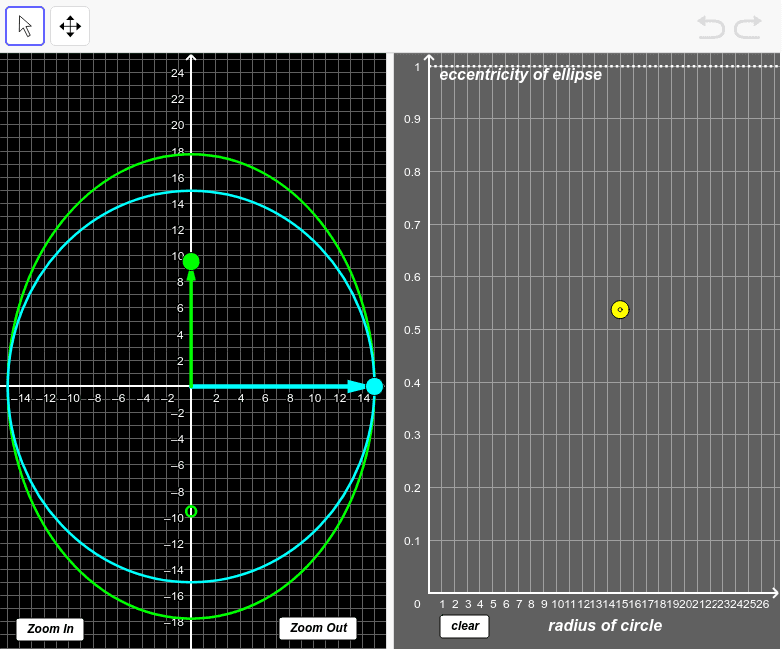 The large blue dot controls the radius of the inscribed tangent circle. Can you explain the shape of the curves in the right hand panel as you drag each of these dots? Can you derive or infer the meaning of "eccentricity" from the the behavior of the yellow point in the right hand plane? Can you construct the image in the left plane from the position of the point in the right hand panel? What have you learned from this applet? What problems could/would you set for your students based on this applet?